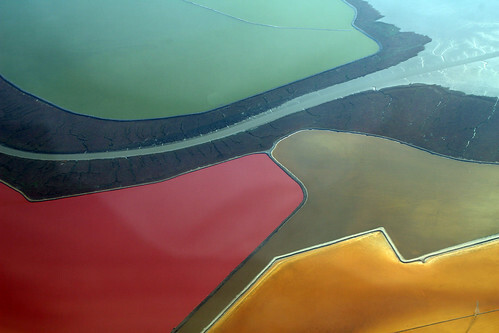 Salt evaporation ponds are shallow artificially created ponds for producing salt from sea or brine water. 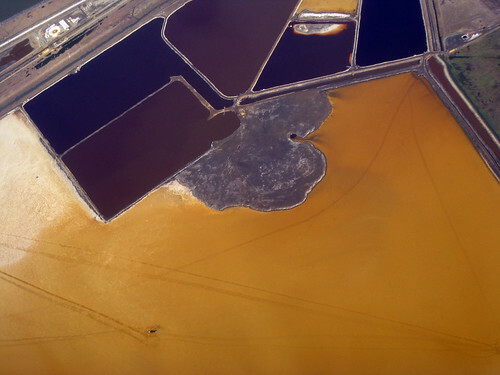 The ponds are filled with sea/brine water and by the natural process of evaporation due to solar energy, the water level gradually decreases and ultimately the residual white salt crystals are harvested. Several micro-organism like algae, brine shrimp etc. 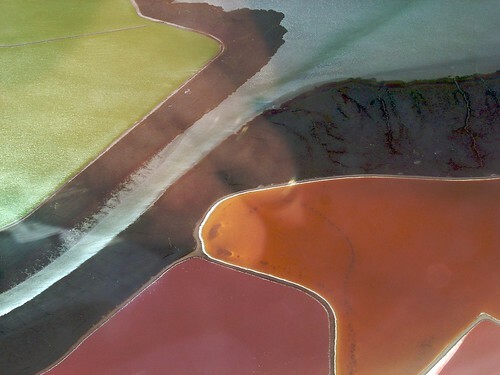 which thrive on saline water produce a beautiful multi-coloured landscape. 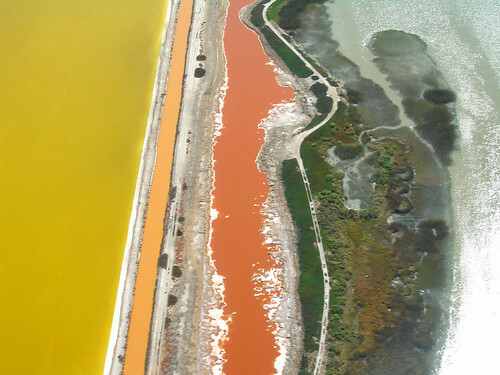 As total evaporation takes several years, many ponds are created at the production site and depending on its age each pond has a different colour which varies from green/blue, red, orange/yellow, and brown. 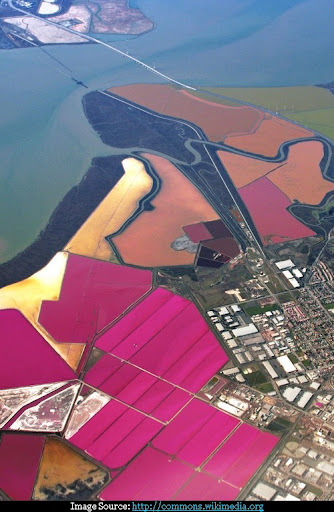 Shown below are the colourful evaporation ponds at the South Bay, San Francisco, USA operated by Cargill.